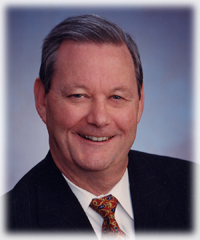 JAMS panelist and retired Orange County Superior Court Judge Robert E. Thomas passed away on April 18, 2013. Judge Thomas joined JAMS in 2001 after a 20-year tenure in the Orange County courts and built a successful practice mediating and arbitrating complex civil litigation. Judge Thomas was a longtime benefactor of the JAMS Foundation. He was well respected and admired by his colleagues and clients and will be remembered for his kindness, compassion, generosity and commitment to ADR. He was named Judge of the Year by the American Board of Trial Advocates, Orange County Chapter, in 1999. He taught thousands of law students during two decades as an instructor at Western State University School of Law. Judge Thomas attended the University of Southern California and Southwestern School of Law. Judge Thomas loved biking with friends, playing with his grandkids and traveling the world, especially with the Celtic Bar. He is survived by his father, his wife, three sons and six grandchildren. There will be a celebration of his life on Saturday, April 27, from 3 to 6 p.m. at the family’s home in Newport Beach. For more information, please contact Dara Fairchild at dfairchild@jamsadr.com. The family has requested donations in lieu of flowers. If you would like to make a gift to the Proposed Endowed Chair in Urologic Oncology for Dr. Thomas Ahlering at UC Irvine, please make checks payable to the UCI Foundation and mail to UC Irvine Health Advancement, Attn: Valerie Amador, 333 City Blvd. West #605, Orange, CA 92868. Please note in the memo that your gift is for Dr. Ahlering’s Chair. If you have questions, please call Valerie at (714) 456-3750.